Decreasing vitality of scalp and hair or influences from outside may lead to hair loss. Thinning hair and hair loss is often a high burden for those affected. REVITALIZING SCALP CLEANSING CONCENTRATE AND ENERGIZING SERUM improve hair volume, strengthen its structure and protect against influences from outside. Both porducts are formulated with the innovative, nature-identical PEPTIDE LIBARYRY STPL II – particularly for hair becoming thinner. 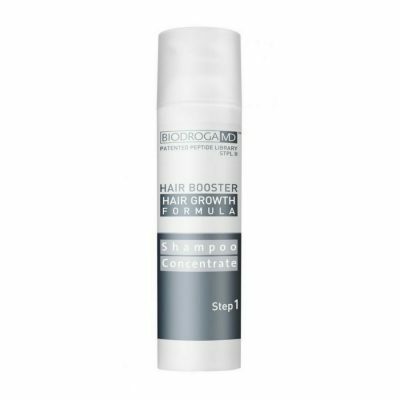 Used regularly, BIODROGA MD HAIR BOOSTER stimulates the natural functions of scalp and hair and supports the conditions for hair growth.